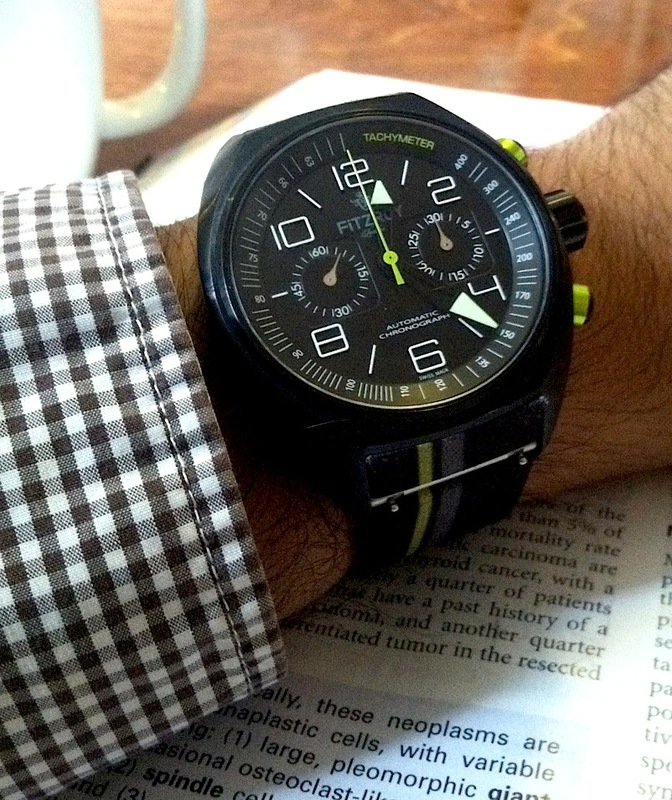 I was in search for a truly modern, original, and unique chronograph watch. It had to be automatic, and it had to represent 2012, not 1972. It’s easy to find all sorts of ‘vintage chronographs’ on eBay and to buy into some other history—but I wanted to buy a watch that, in 30 years, someone could look at and appreciate for the time it was made in. This is a small company making low-production watches—with unique features like an ‘external’ watchband bar, chunky beautifully made case, unique dial accenting, and a simply gorgeous transparent rear housing. 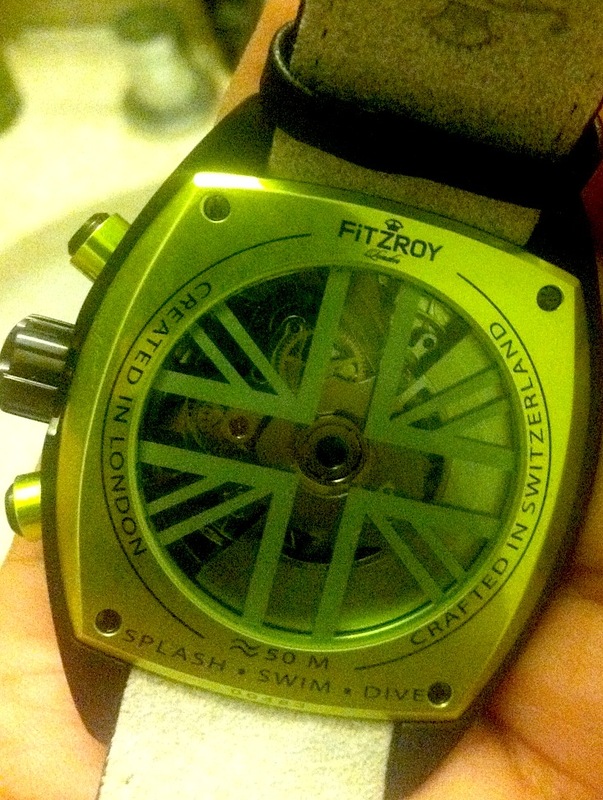 Last year, I briefly remember seeing a blip about a London brand called Fitzroy launching a series of Automatic (their own, swiss made automatic movements—again, original) and a modern set of stylish watches which I found thoroughly beautiful and original. 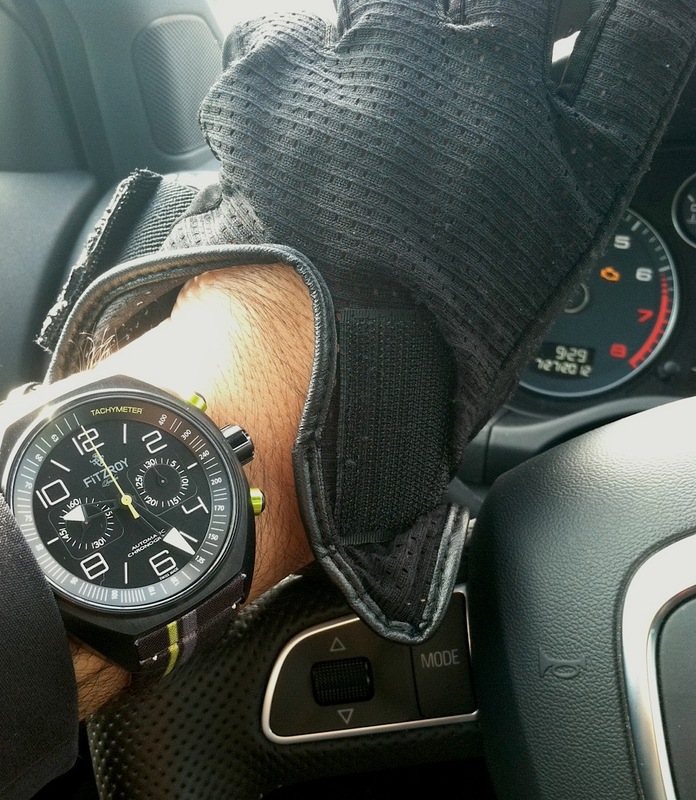 You won’t meet anyone else wearing one of these…and furthermore, it is a low-production, interesting, and creative timepiece. Fitzroy Automatic Chronographs start at $880. Their standard Automatic watches start at a touch over $500. They supposedly will have a selection of custom fit designed watchbands available for purchase—however as of yet I have not been able to procure any other bands. I absolutely love this watch. Appreciation of the modern is the vintage of the future. I bought a Timex automatic last year. I was tired of dealing with batteries and I wanted something unique. Something that said ‘I have arrived’. The automatic watch was it. I have received numerous compliments on it. Your Check Engine Light is on. Sorry, I couldn’t help but notice. Lovely wristwatch by the way. very nice watch.. I kind of wish the back was the front though..